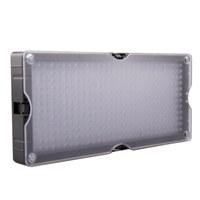 Fotogenic 4 x 55W Four Bank Fluorescent Light is designed and made for professional lighting application. 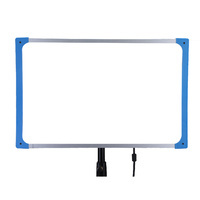 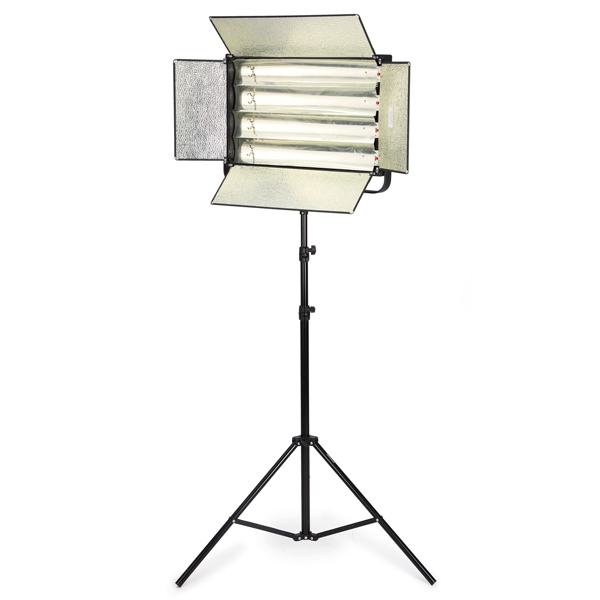 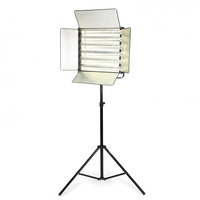 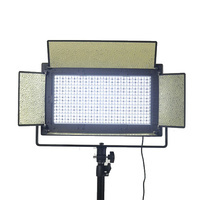 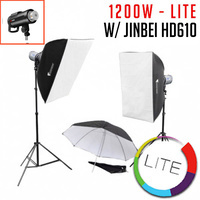 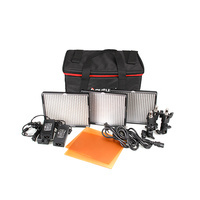 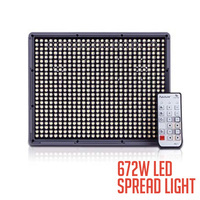 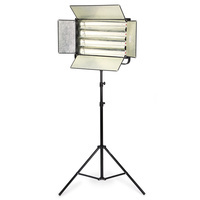 The soft shadowless lighting effect is ideal for TV/Film/Movie production. 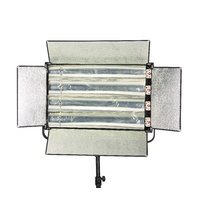 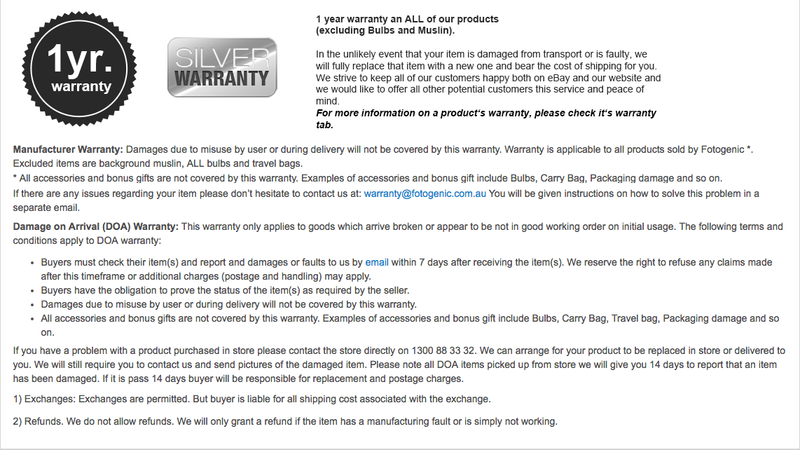 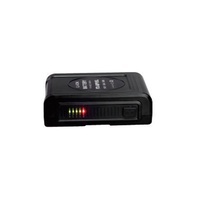 Its an economical way to light large sets while using a fraction of the power required by other lighting systems. 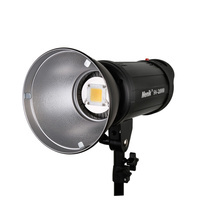 They are capable of over 8,000 hours of operation, making them an economical choice. 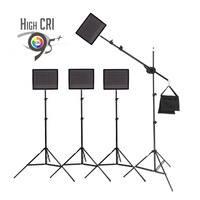 Also, they have a high colour rendering index (CRI > 90), meaning that their colour and colour consistency are extremely accurate. 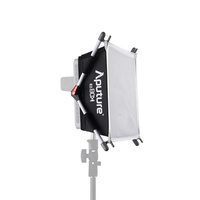 Please note: the latest model 4-piece OSRAM panel comes with black barn doors and a softbox attachment. 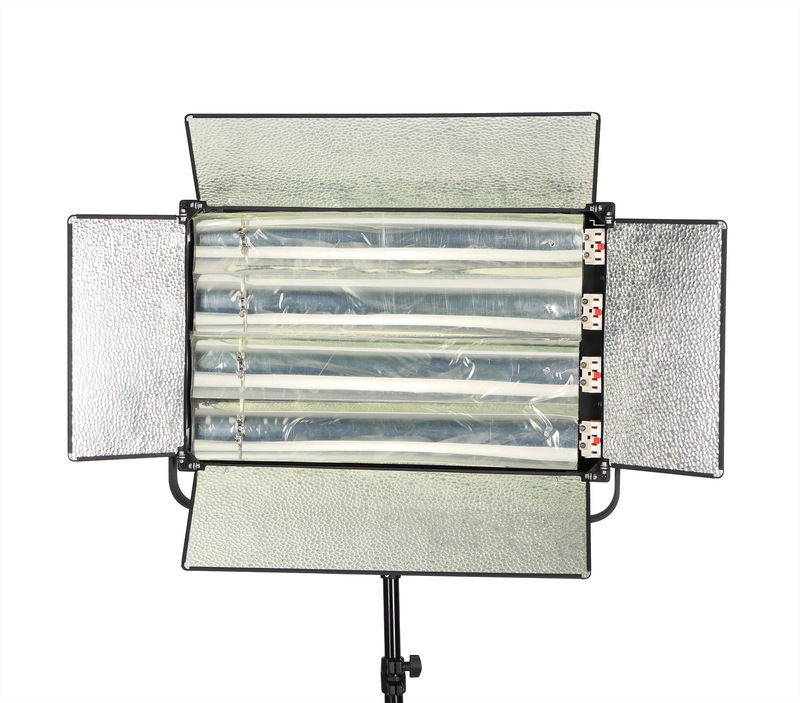 This replaces the older-style reflective barn doors.